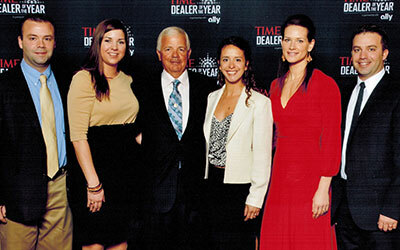 Blaise Alexander Family Dealerships truly is a Family Business. With over 1000 employees Blaise and his 2 sons Adam and Aubrey are family oriented and understand that family comes first. Blaise often stresses, that while we take care of our customers, taking care of our employees is most important. Without the best employees we can’t serve our customers. John Broome is the General Manager of Blaise Alexander Hyundai Mazda in State College, PA. John started out selling cars at Aubrey Alexander Toyota and soon became a sales manager. When John was ready for the next step in his career we bought the Hyundai Mazda dealership, where John took on the role of General Manager. Billy Lowe started selling cars at Blaise Alexander Chevrolet and quickly moved up to a Team Leader. After being with the company for just over 5 years, Billy moved to Greencastle to fill General Manager position at Blaise Alexander Chevrolet of Greencastle. Seth Rosen started out selling cars at Alexander Buick GMC Cadillac in Sunbury before taking on a Team Leader role at Aubrey Alexander Toyota. Seth recently moved back to the Buick GMC Cadillac store as the General Manager. Blaise Alexander grew up in Centralia, PA working at his father’s used car dealer. When he moved away from home he worked in a Chevy dealership as a salesman and then a sales manager for 10 years before buying his first Dealership. Blaise moved with his wife and 2 young children to Montoursville to open Blaise Alexander Chevrolet. He quickly learned the challenges of being a car dealer, struggling through his first couple years during the recession in the early 1980s. As the economy rebounded, Blaise succeeded in his business, buying his next dealerships in Lock Haven, Sunbury, Bloomsburg, and Selinsgrove. 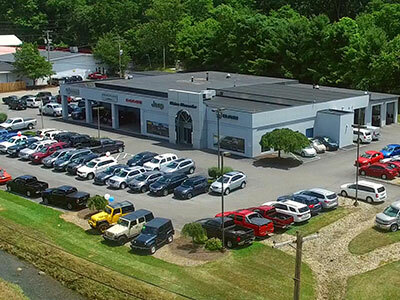 Over the years Blaise continued acquiring dealerships across Central Pennsylvania and now has 18 locations from Greencastle, PA on the Maryland boarder to Mansfield, PA on the New York boarder. Our footprint extends from State College to Hazleton on Interstate 81. Blaise’s original Chevrolet dealership is now the highest volume Chevrolet dealer in the entire state of Pennsylvania.